Looking to practice your agility skills at home? Contact Garden Agility for a range of portable lightweight agility equipment. 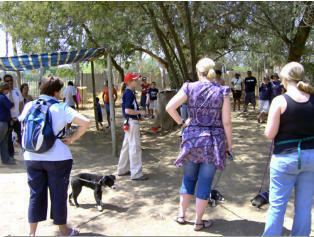 Established in 1999, McKaynine has become one of the premier dog training facilities in South Africa. From humble beginnings of two classes per week, we now offer over 30 classes per week from five different branches, from puppy training and socialising classes all the way to advanced obedience, tracking, agility and tricks! 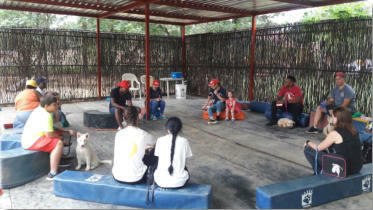 Our philosophy is simple - effective training that’s kind to dogs and people. Not only are the modern techniques of positive reinforcement scientifically proven to maximise learning, it’s super easy and results are quick to see. Handlers are treated with respect and empathy - we do our best to make your lessons fun and enjoyable. McKaynine has multiple instructors and assistants in order to supply the demand for our classes. We have very strict criteria for our instructors and operate an on-going quality control system to ensure that our high standards are maintained. Our main goal is to give the handlers the tools to train their dog to be a reliable and calm companion. To this end we encourage handlers to build trust with their dog and to make paying attention a rewarding hobby for the dog. We treat our handlers with respect and compassion. When a handler makes a mistake it is handled with empathy and understanding - if handlers knew everything then they wouldn't have to attend classes! Our atmosphere is friendly and fun for people and dogs. We welcome all breeds of dogs, including cross breeds and "pavement specials". Some of the breeds we have had at our centre in the past have ranged from Chihuahuas to Saint Bernards and Griffon Bruxellois to Neopolitan Mastiffs. 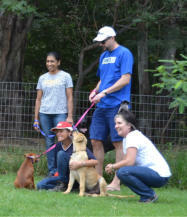 We have a diverse variety of breeds attending our classes. We are very proud of this achievement as it illustrates that our techniques are suitable for any kind of dog, whether it's an 80kg Boerboel or a 2kg Yorkshire Terrier. Dogs and handlers are encouraged to advance at their own pace - we will NOT expect Border Collie type speed from a bulldog. We do our utmost to ensure that your training sessions are stimulating, interesting and enjoyable and we never push dogs or handlers past their limits. We boast a crew with impressive credentials all round. Plus they’re just plain swell folk!